Stokes’ Special Collections are the quick and easy way to build beautiful themed gardens! The Folks at Stokes have put together several themed gardens filled with some of our most popular varieties. We have launched a few vegetable garden favorites brought back by popular demand, a couple which will attract garden friendly pollinators and the remaining collections have been revived and carefully constructed to deliver a unique contribution to the success of your garden. We are also happy to bring you terrific deals on each of these exclusive collections! 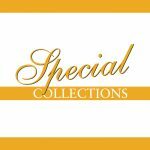 Save up to 20% when buying Special Collections, rather than individual variety packets. Whether you would like to grow show-stopping varieties, create focal points, or enrich backgrounds with tall ornamental grasses, we have a collection for you. Plant a hand-selected Special Collection today! Add color to your garden with this collection of shade loving flowers. found in these beautiful flower varieties. An ornamental plant is grown for decoration, rater than food and provides us with visual delight. Throughout history, flowers, vegetables and spices were used to dye fabrics and we can still use them today. Replenish vitamins and increase your nutritional intake by creating smoothies with fresh garden grown ingredients. Let your sense of smell stimulate your imagination and emotions with this collection of Lavender, Sweet Peas, Cynoglossum and Matthiola. Bring summer indoors by arranging bouquets of fresh cut flowers from your very own cutting garden. This show-stopping collection highlights the hottest garden flower going. Four sunflower varieties that range in height from 10 in/25 cm to 6 ft/2 m.
Place this assortment of decorative grasses into new or existing landscapes. Collection includes medium and tall grasses. This easy to grow collection will have you clipping fresh herbs all summer long. A list of descriptions and uses is included. Craving some tasty, sun-kissed tomatoes right from your garden? Here is a collection of some “Oldies but Goodies”. Enjoy crisp fresh salads from your own garden. Lettuce, cucumbers, green onion, spinach and cherry tomatoes. Finally, salsa the way you like it! Hot or mild, raw or cooked, the choice is yours. Inspire our up and coming gardeners with this easy to grow collection of Marigolds and Nasturtium flowers, Cherry tomatoes and snow peas. Create mouth watering, nutritious stir fry meals directly from your own garden. Just pick, clean, cut and pack up this easy to grow collection for picnics, sport venues and lunches. Perfect for the family on the go. What happened to the northern super sweet corn variety? I don’t see it in your catalogue. Northern Super Sweet was not available to us form the vendor. We have introduced newer and better eating quality varieties such as Takeoff & Vista XR to continue with the best of the newer breeding. Hope this helps.